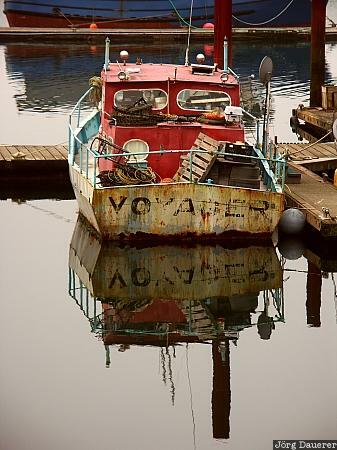 An old boat in the harbor of Newport, Oregon, United States perfectly reflected in the calm water of the Pacific Ocean. This photo was taken in the morning of a sunny day in October of 2004. This photo is part of the exhibition Fishing Boats (October 2009). This photo was taken with a digital camera.